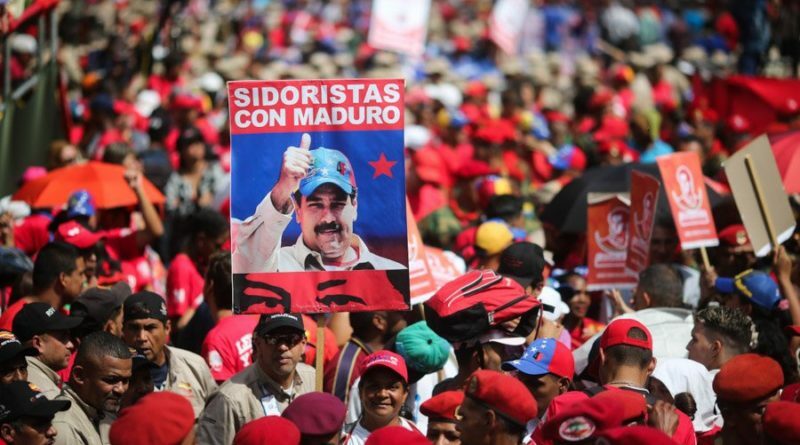 We offer our strongest condemnation to the recent Trump-instigated coup in Venezuela, attempting to oust the democratically elected Venezuelan President Nicolas Maduro. After Maduro was elected, a small group of soldiers made a move last January 21, 2019 to remove Maduro but was a failure. The far-right politician Juan Guaido of the Popular Will party then declared himself as interim president. Immediately, Donald Trump backed Guaido and Theresa May of United Kingdom and other imperialists head of governments followed suit. The events after the attempted coup clearly point that the buttons of Juan Guaido, the self-proclaimed interim president, are being pushed by the US Imperialism and its ilks. ccess the vast resources of the country. Oil reserves of Venezuela, amounting to 300,878 millions of barrels, is bigger than those of Saudi Arabia at 286,455 or Iraq at 142,503 or Russia at 80,000 or Libya at 48,000. Like clockwork, among the first announcements of Guiado is the plan to de-nationalize Citgo, the state petroleum firm. We further condemn the hostage-taking of the resources of the Venezuelan people by the Bank of England, which refuse to hand over the USD 1.2B worth of gold to Venezuela. We applaud the massive street actions of the Venezuelan people defending their sovereignty and holding the line against imperialists intervention and meddling. The armed forces and police of Venezuela have also declared their loyalty to President Maduro. Let us not allow Venezuela to stand alone against imperial designs. As democratic and peace-loving citizens of the world, we must unite and show our support for Venezuela. Let our collective voice for sovereignty and social justice be heard loud and wide, let our united stand against imperialism reverberate and shake the foundations of colonialism and oppression. Hands-off Venezuela, let the Venezuelans decide for Venezuela! No to the US imperialist intervention in Venezuela! End the sanctions against the people of Venezuela! Solidarity to the people of Venezuela!